The statements above are some ideas we have been led by our society, parents, and friends to believe, but hardly hold a candle to the truth. The truth, yes, is that the commerce stream, much in the same way as science, or humanities for that matter, opens up a plethora of career opportunities for students. While the long-standing norms for selecting streams in our country have dictated that toppers and academically-gifted students naturally drift towards science, it is a practice that is fast being overturned. Students, today, are proactively opting for the commerce stream, regardless of their academic standing. So, if you are looking to opt your stream after 10th, or have already opted for commerce, and are unsure of your career path, we present to you the exciting and lucrative career opportunities the Commerce stream holds. It is the study of the production, transfer, and use of goods, services, and resources. It is a research-oriented career and would require you to learn and make use of various theories, principles, and models. Economists conduct researches and analyse data to predict market trends, build economic theories and models, and make recommendations for resolving economic issues. The field has an extremely positive future outlook, as there is a huge demand for qualified economists in consulting firms, private banks as well as public sectors, both in India and abroad. Professional opportunities in this field include working as an economist, statistician, strategist, risk management analyst, operations research analyst, insurance underwriter, budget analyst, etc. To make a career in this field, you have to pursue bachelor’s – B.A/B.Sc. (H) Economics, Bachelor of Business Economics, or a major in Economics, following which you can pursue a Master’s in Economics. Most of the top colleges for Economics require you to have a Maths background in order to be eligible for the course. This rule has been made keeping in mind the strong relationship of Economics with Maths and research. 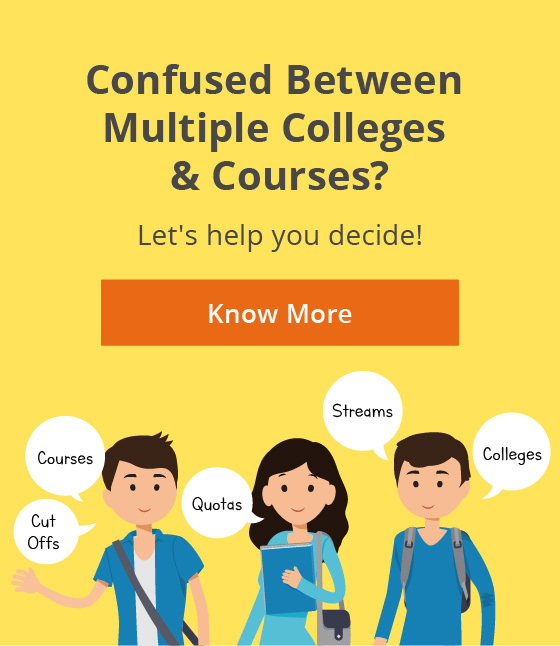 There are, however, some colleges that do allow you to pursue Economics without Maths, such as Loyola College, Christ University, Mount Carmel College, etc. Actuarial Science is a field dealing with the analysis of risk across various fields, such as insurance, business, finance, and healthcare. Professionals in this field (called Actuaries), employ mathematical equations, statistics, and financial theories to determine risk and uncertainty associated with various future events that can impact business. To this end, they collect statistical data, conduct analysis, and design and implement numerous business strategies. Their work can thus involve designing and determining the pricing of insurance policies, establishing the amount of liabilities, etc. It is one of the emerging career options and is extremely lucrative on the monetary front. However, it is also considered one of the toughest careers, with longer work days than others on average, and a relatively tough academic cycle. It can be an excellent career option if you enjoy numbers, statistics, and data analysis. Actuaries work in life insurance, general insurance, health insurance, pension funds, enterprise risk, actuary consulting firms, investment, pension and retirement, risk management, etc. You are required to clear the Actuarial Common Entrance Test (ACET). After clearing your entrance, you can register at the Institute of Actuaries of India (IAI). There are 15 exams in total conducted by the IAI, however, you can start working as an actuary after clearing only 4-5 exams. The most beneficial graduation streams for this career include Maths (Hons. ), Statistics (Hons.) and B.Com (Hons.). Although there is no rule barring non-maths students from pursuing this career, such students are likely to face difficulties, as this is a highly numbers and data driven field. Management is the coordination, planning, forecasting and organizing of a company’s processes, to ensure effective functioning and growth. It is another popular career route, with a relatively reliable career progression. It is a broad field that allows you the opportunity to select from different roles and specializations, including operations, marketing, HR, finance, international business, sales, etc. Management being a highly versatile degree, you can find various national and global opportunities in domains such as consulting, general management, human resources, marketing, sales, strategy, operations management, supply chain management, finance, etc. in various industries and sectors, such as FMCG, Retail, Education, Telecom, etc. There are also various specialised fields available, such as Sustainability Management, Sports Management, Fashion Business Management, Communications Management, etc. To go into the domain of management, you need to pursue a graduation in any field (preferably BBA/BMS), followed by an MBA. There are some institutes (such as DU, NMIMS, among others) that have an eligibility criterion that requires mathematics for a BMS/BBA course. However, there are many other colleges that do allow non-maths students, such as IIM Indore, St. Xavier’s College, Christ University, etc. This is an umbrella field for various commerce-related domains, such as accounting, auditing, finance, taxation, etc. A degree in B.Com (Programme and Hons.) provides you with a solid foundation in various streams of commerce and acts as a gateway to various professional and higher education opportunities. .The flourishing trade and commerce of the country, as well as the growing economy, make this an in-demand field with a number of respectable and lucrative career options available. You can pursue a B.Com or B.Com (Hons.) 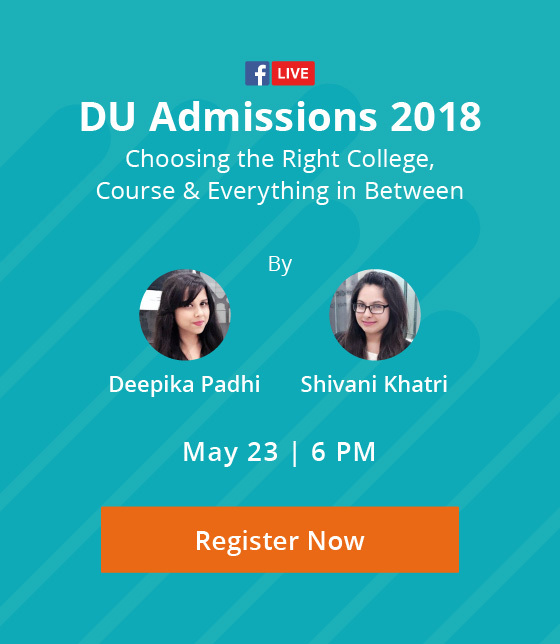 degree at the UG level, and follow it up with an M.Com, MBA or a certification course, such as CA, CS, CMA, etc., depending upon the field and role you wish to get into. You can pursue a B.Com without Maths, but a B.Com (Hons.) course requires a Maths background. One of the most well-known and popular career paths for commerce students, Chartered Accountant (C.A), is an internationally recognized professional certification conducted by the Institute of Chartered Accountants of India (ICAI). A Chartered Accountant works across various domains of business such as audit, taxation, investment, finance, etc. to increase the profitability of the firm. You can find professional opportunities in government and private organizations, in roles such as auditing, tax consulting, corporate finance, investment banking, corporate finance, investment banking, etc. You would also have the option to set up private practice after a few years of experience. Step 2: Clear the Integrated Professional Comptence (IPC) Course Exam in one or both groups. It is not mandatory to have a maths background, but it can prove highly beneficial. Company Secretary is a professional course administered by The Institute of Company Secretaries of India (ICSI). The Company Secretary takes care of the efficient administration of a company, particularly with respect to ensuring legal and statutory compliance, and governance-related issues such as ensuring that the decisions of the board of directors are implemented. Their job involves giving advice on conducting business, dealing with situations involving conflict of interest, suggesting ways to prepare financial reports, developing corporate strategy, assisting in planning, and advising on company law. You can work with both public and private sector organizations and render services in areas such as legal, secretarial and corporate governance, corporate restructuring, foreign collaborations and joint ventures, arbitration and conciliation, financial management, project planning, capital market and investor relations, corporate advisory services, etc. You can also set up independent practice in these areas. There are three stages in the CS Course – Foundation Program, Executive Program and Professional Program. After passing the executive program, you have to undergo 15 months of practical training. On completion of the program and its requisites, you will join as an Associate Member of the ICSI, and will be given the designation of Associate Company Secretary (ACS). This career doesn’t require a maths background. A career in the finance domain involves helping businesses and individuals in making various financial planning decisions, monitoring cash flow, managing assets and liabilities, raising capital for expansion and running business operations. A common set of skills required across finance careers include a good grasp of economics and accounting concepts, a knack for numbers and data, and analytical thinking. This is a broad sector and can include various roles, such as Investment Banking, Financial Planning/Consulting, Financial Analyst, Corporate Finance, Private Equity and Venture Capital, Wealth Management, Risk Management, etc. You can either go for a specialised finance course (BFIA, BFM, etc.) at the undergraduate level, or pursue a more broad course, such as B.Com or BBA. While it is possible to get into this career through any graduation, these courses would equip you with the requisite knowledge of financial concepts and related skills right from the start, leading to a stronger base. At the post graduate level, you can either go for a specialised Master’s in Finance (more suited to roles such as Wealth Management) or go for an MBA in Finance (better suited to roles such as Investment Banking, Corporate Finance). You can also pursue additional certifications in finance to boost your skill-set, such as CFA (Chartered Financial Analyst), CFP (Certified Financial Planner), FRM (Financial Risk Manager), etc. This career doesn’t require a maths background, but it can be highly beneficial. Bank Probationary Officer (PO) is an entry-level position in a bank, where an individual begins as a trainee. Bank PO exams are conducted by both public and private banks. During the probationary period (2 years), the candidates are required to work across various activities related to the daily functioning of a bank, such as handling cash flow, customer complaints, supervising clerical work, loan processing and approval, issuing ATM cards and checkbooks, etc. After the completion of the probation period, the candidate becomes an assistant manager, with an outlook at becoming the branch manager and attaining higher positions over the years. You can find various positions of work in the bank, including, accounts clerk, administrative assistant, cashier, credit officer, insurance officer, postal employee, financial dealer’s assistant, etc. You can pursue this career even without a background in Mathematics. You can give the Bank PO exam after graduation in any stream, although degrees such as B.Com, BBA, Economics can be advantageous. Some popular exams for the Bank PO position include, SBI-PO Exam, IBPS-PO Exam, ICICI Bank-PO Exam, Axis Bank-PO Exam, HDFC Bank-PO Exam, etc. Recommended Read: Will Dropping Maths in Class 11 Affect Your Career? Cost and Management Accountants (earlier referred to as Cost and Works Accountants) are responsible for budgeting, cost management, performance evaluation and asset management within a company or organization. The CMA is a certification provided by the Institute of Cost Accountants of India (ICAI), formerly known as the Institute of Cost and Works Accountants of India (ICWAI).Cost and management accountants work alongside corporate executives to prepare the financial plan and strategy of the company, and also prepare financial reports for various regulatory authorities, creditors, tax authorities, etc. You can work as a cost accountant, and other related fields such as financial consulting and auditing. Cost accountants can also advance to even higher-level positions in the financial domain, such as finance director, financial controller, cost controller, etc. You are required to clear 20 different exams by the ICAI, which are divided into 3 different levels- Foundation, Intermediate, and Final. Stockbroking is a career that involves buying and selling of stocks on the stock market. Stockbrokers manage investments in stocks, bonds, and derivatives for their clients, and advise them about market fluctuations. Their clients include individuals buyers as well as small and large organizations. With the steady growth in the Indian stock markets, this field is predicted to witness a good growth in demand for qualified professionals. Stockbroking is also a possible career option for you if you have a propensity for following financial markets, such as Nifty and Sensex, and are adaptable and quick on your feet. You can work with brokerage firms, insurance companies, banks, investment banks, pension funds, and other financial institutions. You can also work as an independent broker as you acquire domain expertise over the years. A career in stockbroking can only be pursued through short-term and long-term certifications. To provide a solid foundation, however, you can pursue degrees/courses such as B.Com, BBA, CA, or MBA (Finance). This career is the talk of the town as many people these days wish to set-up their own business, referred to as a start-up. Entrepreneurs conceptualize the business idea, build the structure, function, and strategy, and subsequently design and launch the company. Entrepreneurship is a broad field, and one can be associated with a wide range of ventures to sell products, services, or processes. Although this career can be pursued through any graduation stream, it is highly beneficial if you pursue a BBA or MBA degree (in entrepreneurship or any other specialization) as it will equip you with the requisite business knowledge and skills. Statistics is a field involved in the interpretation, analysis, and representation of numerical data. Statisticians collect and analyse data to solve various problems and make recommendations in organizations, both in the public and private sector. Statisticians conduct data collection, organize data, use various statistical tools and techniques to analyse the data, base conclusions and inferences on the data, and further make recommendations to stakeholders and policymakers based on the results. This is a challenging, yet rewarding, career with flexibility of work opportunities and possibilities to work across various sectors. There are a variety of opportunities available both in the public and private sector in roles such as data analysis, big data, market research, investment analysis, research analysis, risk analysis, etc. You can pursue a B.A/B.Sc. Statistics or B.Stats after 12th, followed by M.A/M.Sc Statistics or M.Stats at the PG level. Maths is necessary to pursue this career. These were the main career options for commerce students after 12th. However, there are many other popular career options available apart from these, which are not directly related to commerce, such as Design, Law, Hotel Management, Mass Communication, and Journalism, etc. To find your fit with these and other career options, you can try out the Mindler Assessment for free. Tags best career in commerce career for commerce students career in commerce career in commerce after graduation career opportunities for commerce students career options for commerce students career options for commerce students after 12th career options in commerce with maths career options in commerce without maths commerce stream commerce stream after 10th commerce without maths in class 11 commerce without maths is good or not commerce without maths scope future of commerce students jobs after 12th commerce without math list of career options in commerce stream list of courses in commerce after 12th professional courses in commerce field What are the courses after 12th commerce? What are the fields in commerce? what to do after 12th commerce for banking Which courses are available after 12th commerce? Which is the best course after 12th commerce?